Join us on Saturday, December 15th for our second annual Handmade for the Holidays event. 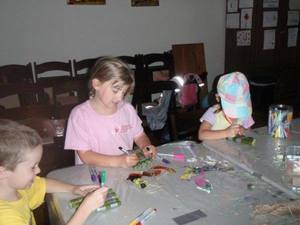 Children will be provided with supplies and instruction to make nature-themed holiday gifts for their family and friends. There will be a variety of age-appropriate projects for children to choose from, and each child will leave the event with 2-3 wrapped gifts of their own creation. Hot chocolate will be provided. Parents: This is a drop-off program.